And just like that, we are starting a new year! 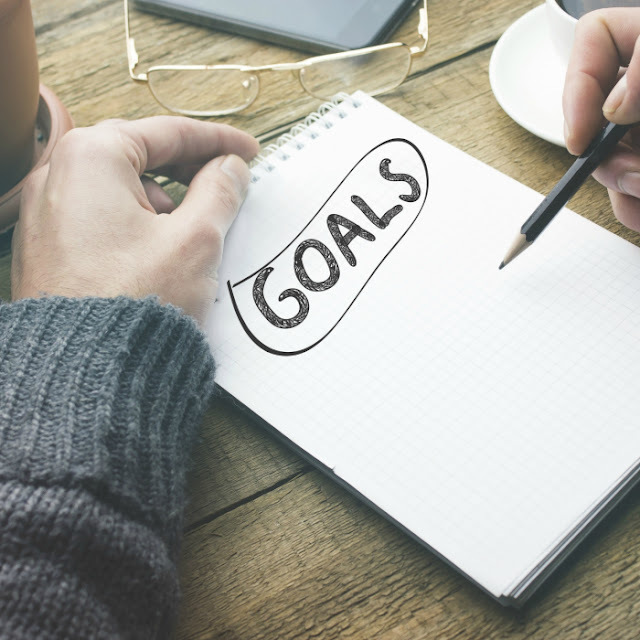 And, just like thousands of people around the world, I am engaging in that somewhat pleasant and somewhat stressful process called goal setting. I want my entire family to be healthy. We hope to accomplish this through regular check-ups, eating healthy, and exercising moderately. I hope to keep our daily tradition of late night walks around the block with my husband and maintain my current exercise level of 6 mini-sessions a week (each about 15-20 minutes) of running, strength training, and yoga. I want to add more fish and vegetarian dishes into our diet, since we eat a bit too much meat, and also add more fruits. I'd rather get my supplements from food rather than from a pill. Both my husband and I also want to get better at tracking our fitness stats (weight, blood pressure) to make sure the trend is positive. As for Smarty, I hope she continues with her taekwondo practice despite changes in schedule and that we will be able to support her through hormonal and physical changes of puberty that are probably going to hit her hard this year. This year is going to be a year of changes for us. I am starting a new job, my husband might be quitting his contracting job in January and then looking for something new again. We are also thinking of putting Smarty into a different school for 8th grade and beyond, but even if she stays in her current school for 2018-2019 school year, we will need to make some decisions for high school and decide whether we are going to send her to a public or private public school. I hope we can tackle all these changes with flexibility and sense of humor while maintaining our cherished traditions of evening dinner time together and keeping weekends relatively free from any scheduled commitments, so we can go on trips and see friends. Our big goal is to get Smarty used to staying home on her own and managing her time alone effectively without putting off homework and project work until the last minute. We have a relationship based on trust and we hope to be able to give her both more freedom and more responsibility as she approaches her teen years. Also, Smarty and I have another big goal for this year - we hope to convince my husband and get a cat. It looks like we are making progress, and I am cautiously optimistic that we might welcome a new furry member to our family sometime in fall. I am excited to start my new job, and, ideally, I would like to keep this excitement going. There is always a high learning curve involved in job changes on my level, and I am prepared to invest time needed to be able to contribute to my new team fully. Basically, however, my professional goal right now is to prove myself, expand my network, keep the job, and help my team meet their goals for this year. Some of my learning goals are related to my new position. I already got a standard Project Management Professional Certification in December, but my new job is all about Agile Development, so I would also like to get certified as an Agile Project Manager. In non-job area, I would like to expand my repeatable recipes of dinners that take under an hour to prepare from scratch. We really need to get our act together and make a will this year. We keep postponing this task, but really having a will is like taking an umbrella on a hike in California - it is unlikely that we will need it, but it might come in handy in case of emergency. I am also toying with an idea to set aside some money for investing directly into stocks - I used to do it and was a moderately successful stock picker, but now all our investment money are in mutual funds. This would tie in with a learning goal to learn (and re-learn) more about stock investing. I hope we will be able to keep our existing friends and make new friends this year. Both of us are pretty active in our local organization for gifted children, but the membership was falling for the past few years. My husband just agreed to join the board of this non-profit organization, and we hope to work with other board members to increase membership. Hopefully, this will also translate to expanding our network and doing something good for kiddos who are currently so under served by their schools in many school districts. I hope we can still pull off our skiing trip that was postponed due to warm weather and lack of snow. Luckily, my new company has an "unlimited vacation" policy, which means that I can maybe take a day off in early March for it. And, if all goes well, we are considering a joint European cruise in summer with my parents which can be a bit stressful, but also a lot of fun if weather cooperates. We also hope to discover some new places to go for day trips and play tourists in San Francisco this year. I wrote a goals post today too! Congratulations on the new job, I hope you enjoy it and do well in your new role. A European cruise sounds lovely. We will be back in Scotland this summer, with another group of students. Unlimited vacation? That's kind of cool, and I thought where my husband works had a generous vacation policy. I have vague ideas, but haven't really sat down and defined goals for the kids yet.